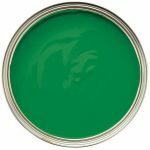 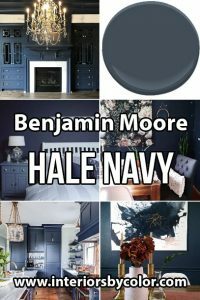 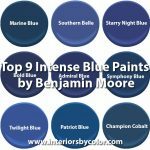 Benjamin Moore Washington Blue CW-630 WILLIAMSBURG Color Collection and is described as "Suggesting gentility and culture, this deep, lush navy blue is based on the color created by hand-grinding Prussian blue in oil.". 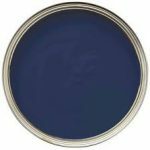 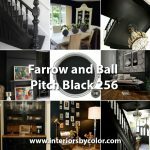 This amazing navy blue is very deep and multidimensional and looks fantastic combined with red paint colors. 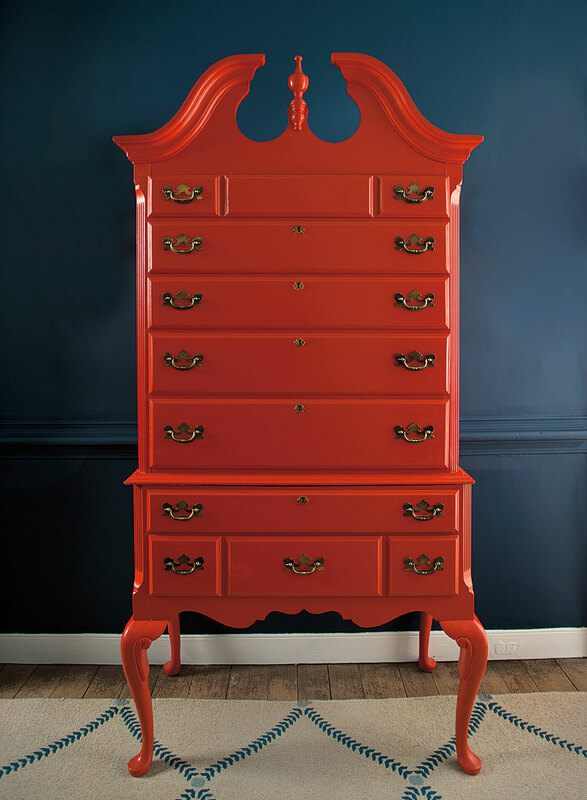 Benjamin Moore Washington Blue painted walls and cabinet painted in Cornwallis Red Highboy image from the WILLIAMSBURG Color Collection. 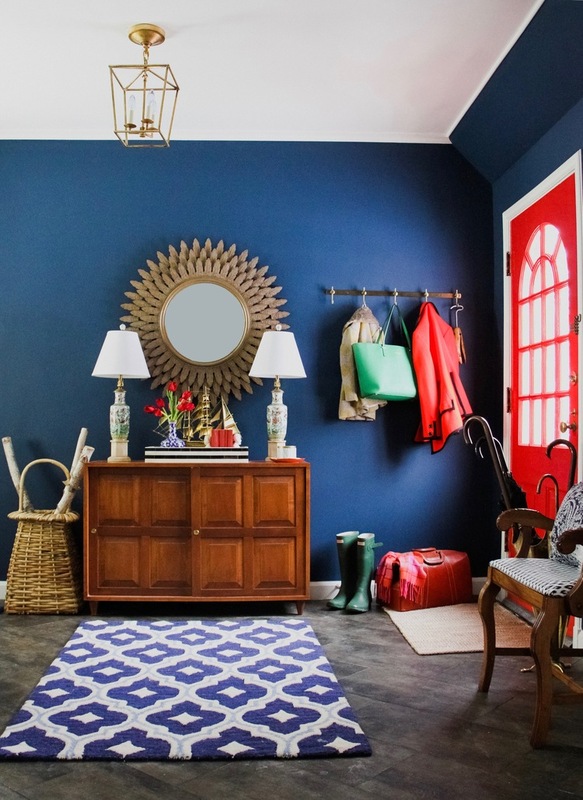 Loving this dramatic dark blue and red entrance makeover by Omaha based interior decorator M. Pettipoole using Benjamin Moore Washington Blue CW-630 on the walls. 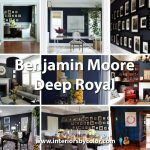 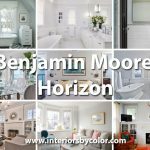 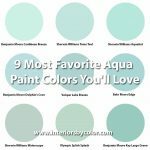 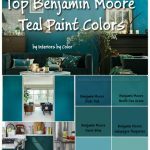 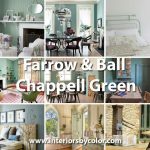 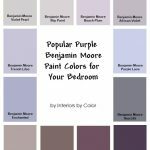 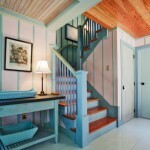 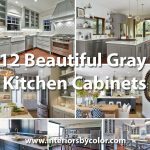 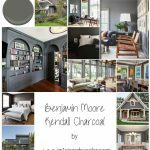 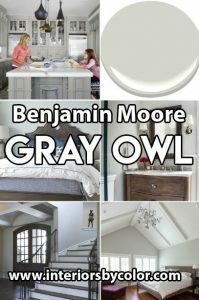 "Painting the walls Benjamin Moore's Washington Blue immediately created a dramatic impact. 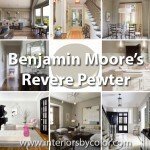 From there I layered on other bold primary colors that tend to evoke an iconic historic vibe – red, yellow, and green. 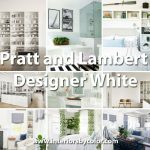 It could've gone childish, but paired with substantial and ornate pieces like the antique bench, paneled console, and textured sunburst mirror, the palette remains mature without taking itself too seriously. 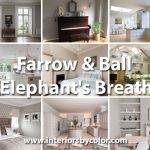 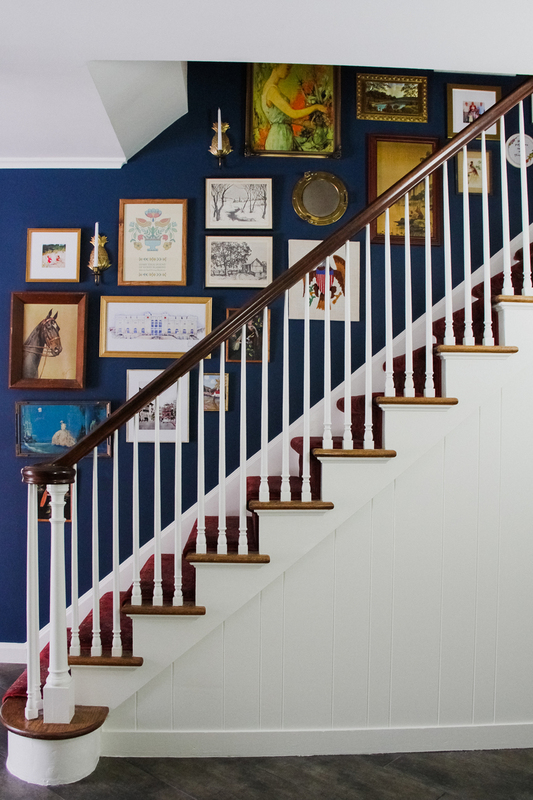 Oh, yeah, and brass, All The Brass accents to keep it feeling fresh and not at all stuffy." 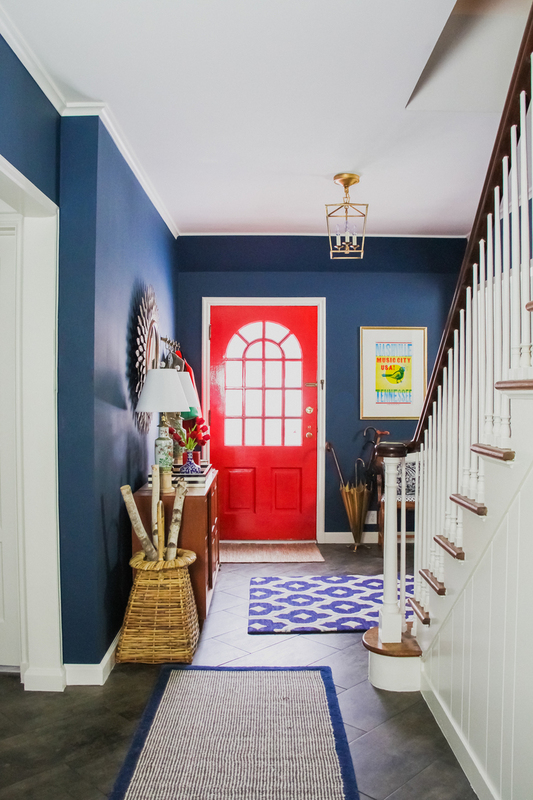 Entrance with walls painted in Benjamin Moore Washington Blue and red painted door. 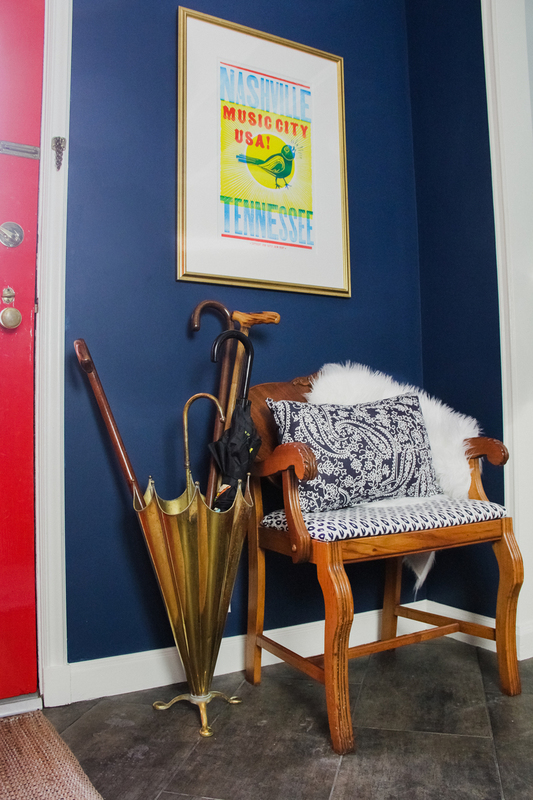 Love that brass umbrella stand. 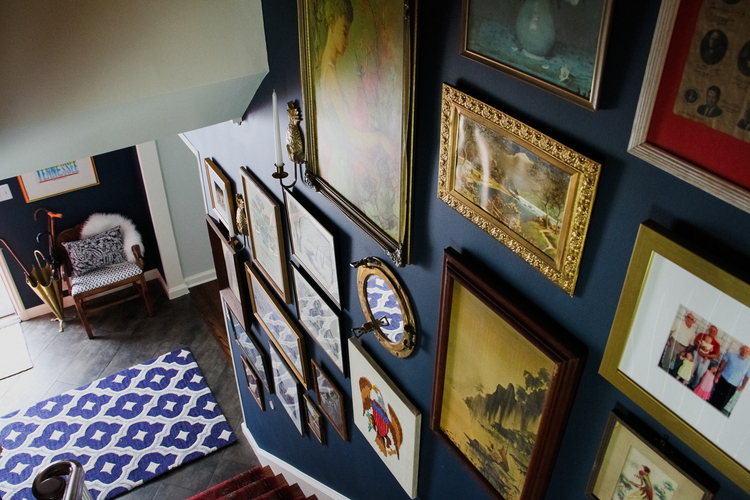 The gallery wall up the stairwell has at its base dark blue walls painted in Benjamin Moore's Washington Blue and layered with over thirty varying pieces of framed art, family photos, patriotic embroidery, brass pineapple sconces, and a functioning porthole mirror, and more. 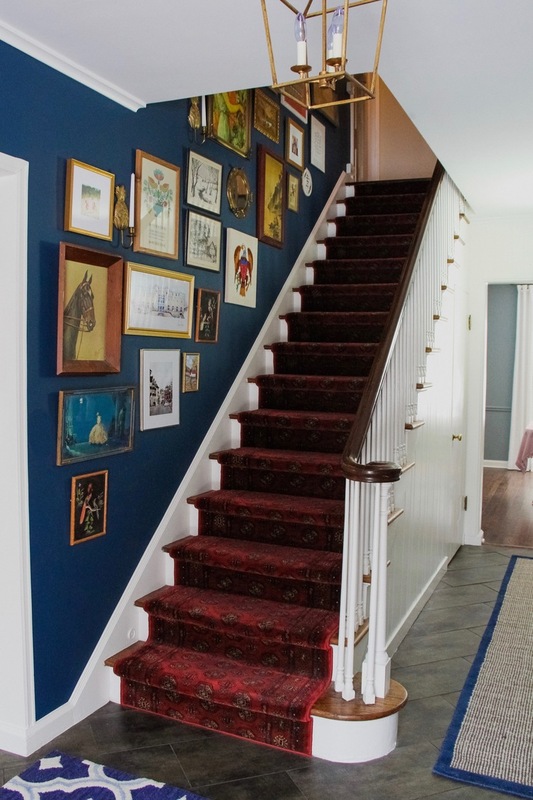 Benjamin Moore Washington Blue CW-630 painted stairwell with red carpet. 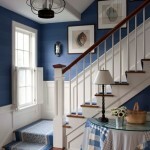 Benjamin Moore Washington Blue CW-630 stairwell wall with art and white stairs.